Hello Autumn, my old friend. The weather has been really nice of late (not that we really got a Summer) and I've been pulling out my jeans and long sleeve tops. But then the humidity sets in and alas, Autumn is not here. Make up your mind, weather. I don't know what to wear to work! It's been pretty quiet around these parts. After a few months of having no manager at work, I will finally have a new one come Monday and to be honest I am not sure how I feel about that. I like doing my own thing, but it will be helpful, I'm sure. I did manage to score a window seat in an office shuffle that happened today. When I look out, I can see Steve's office and the spot that he proposed (sigh.... hahaha). 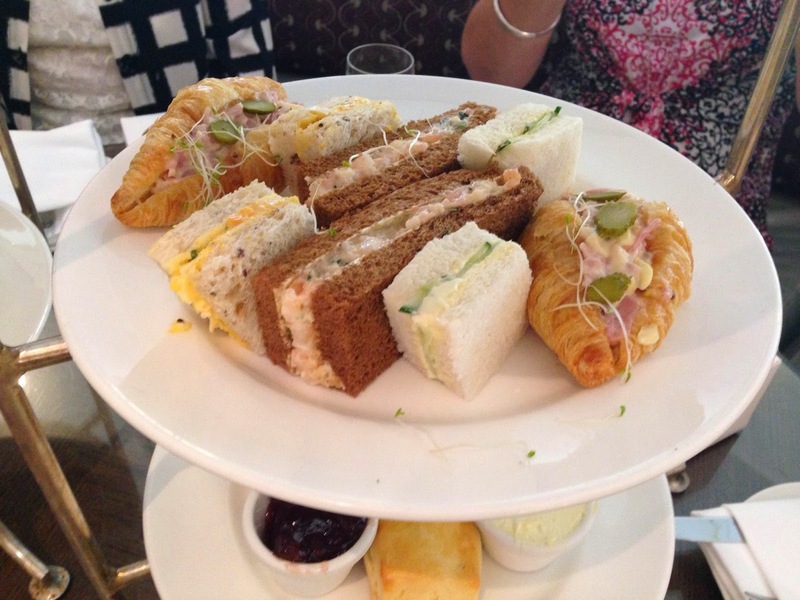 Headed in to town on Saturday and had high tea at the Sheraton with my dear friend. It was a delicious carb fest and I don't regret one bit. Champagne upon arrival, a nice selection of sandwiches, pastries and scones and I was ready to take on anything. Until the sugar crash hit... Nothing a walk around the city couldn't fix and a little looky through some wedding dress shops (no, not for me). Actually, being out the whole day exhausted me and that night Steve and I had plans with friends. We ended up at some place called Dive bar in Darlinghurst that was kind of cool, but full of 18 year olds and well, I wasn't feeling it. I called it a night at 10pm, got in the nearest cab and went home to crash out. Once upon a time, weekend breakfast was a regular occurance. Saturday and Sunday would see us at a new cafe gorging on whatever took our fancy. These days, savings is in full force and I'd much prefer to spend my money on a nice dinner out. I was never a fan of breakfast anyway, so not much was missed there. Last Sunday, however, I decided I felt like pancakes and with no flour or sugar in the house we had to go to breakfast. I was expecting more since the last time we went to Esthers Kitchen I had some divine pancakes with a poached pear and delicious coulis, but this time did not step up. 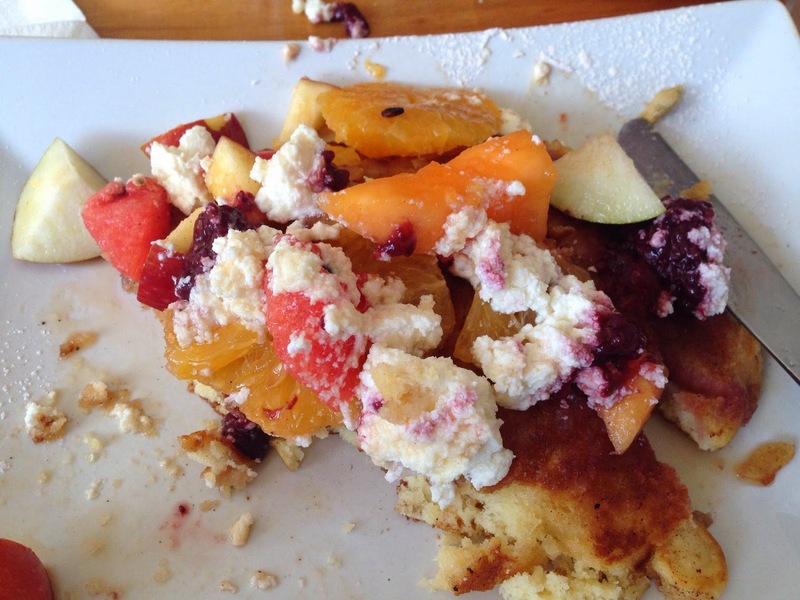 Firstly, since when do cafes put fresh fruit on pancakes that isn't banana? Fresh orange on pancakes? Huh? Secondly, where is my poached pear and thirdly, half way through our meal they put up the 'cash only sign'. Um, we don't carry cash and the nearest ATM is a 5 min drive away. Ah well, it wasn't all that bad. So, I've been engaged all of three weeks and I already had a bad wedding dream last night. Look, I haven't even started planning the damn wedding and I am having bad dreams. A sign of what's to come? I don't know, but it doesn't help me actually want to plan a wedding. And there you have it, this blog post only has pictures of food! 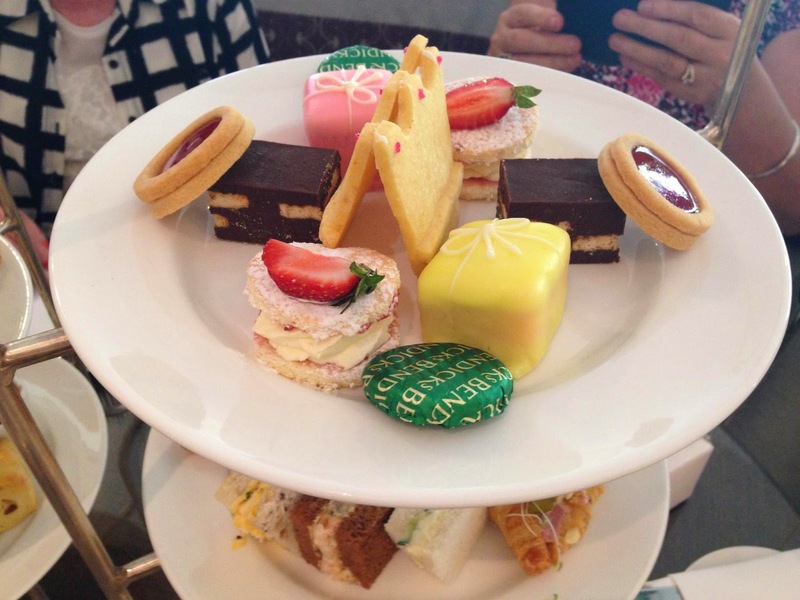 I love me a good High Tea, this one looks amaze! !